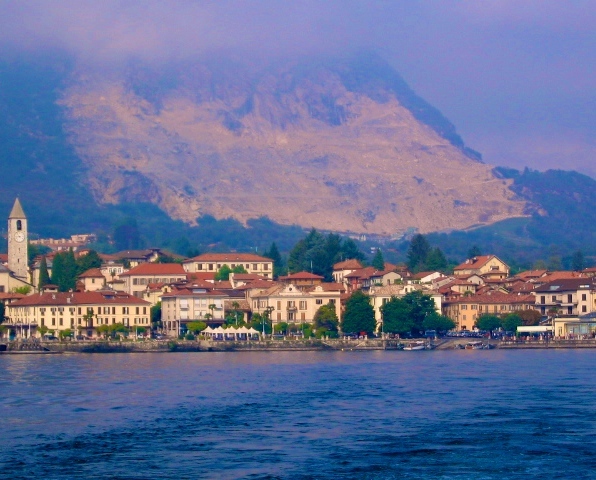 Baveno, in northern Italy, is one of our favourite destinations. Sitting on the shore of Lake Maggiore, the town is literally a slice of heaven: a world away from the pressures of modern living and a great advertisement for the dreamworld that is Italy. The lake – the second biggest in Italy and the largest in southern Switzerland – nestles into the southern side of the Alps and Baveno is set in typical prealpine countryside, part of the region of Piedmont. 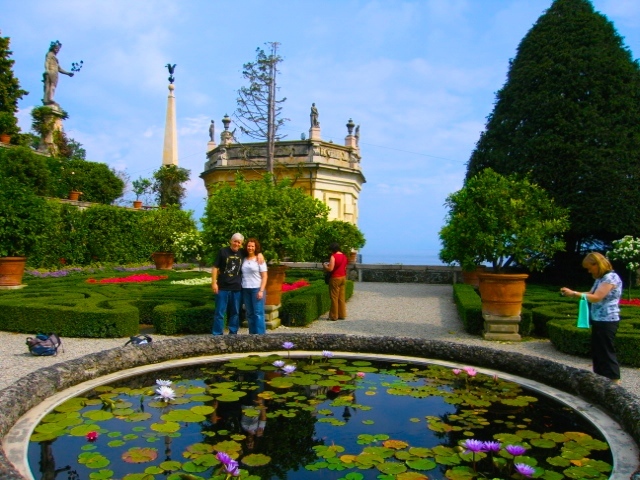 We’ve been fortunate to spent time in the town, visiting the wonders of the Borromean Islands; touring the famous Isola Bella and its magnificent Baroque palace; taking day trips to neighbouring Lake Como and Lake Garda; and checking out the area’s many villas, castles and wonderful gardens. Isola Bella, we were told, dates from 1630, when local Governor, Carlo Borromeo the Third, apparently obtained land on what was then known as the island of Isola Inferiore. He soon began planning a residence there – and renamed the island after his wife Isabella. Carlo’s sons later created not just a simple villa, but a palace worthy of entertaining the greatest nobility of Europe. On the way back from touring the palace, we stopped at neighbouring Isola Pescatori, where there is a quaint fishing village and some excellent fish restaurants. 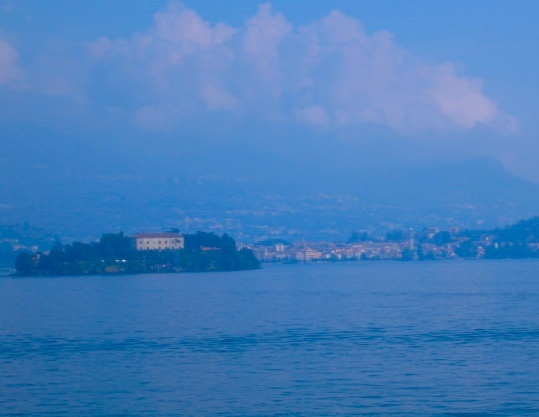 The island ferries provide a striking view across the waters of Lago Maggiore toward the Swiss canton of Ticino. Only a short drive away is the picturesque Swiss city of Lugano, with its eye-catching lakeside and mouth-watering hot chocolate. The water wonderland around Baveno is set against a backdrop of striking green hills and impossibly steep roads. In these hills, north west of the town are famous red granite quarries, which have supplied the columns for the Cathedral of Milan; the church of San Paolo fuori le Mura at Rome; the Galleria Vittorio Emanuele at Milan; and other important Italian buildings. Baveno itself is a quaint town with a tangle of cobblestone streets; a notable 16th Century square; and excellent restaurants and cafes. Many of the villas around the town boast extraordinary grounds that benefit from the region’s moist and temperate climate. 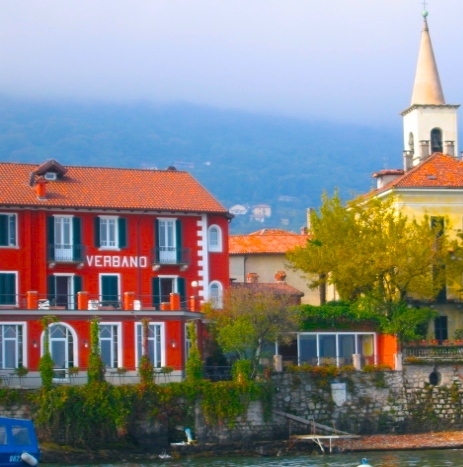 Our favourite hotel in the area is the Grand Hotel Dino, part of the Zacchera group and sitting plumb on the waterside with views over the Lago Maggiore to the mountains. With two swimming pools and colourful gardens, Grand Hotel Dino combines the benefits of a large hotel with the tranquility of the lake shore. From the eye-catching stained glass ceiling in the foyer, to the lavish furnishings, well equipped rooms and health club, the Grand Hotel Dino manages to be modern and plush while still at one with the peaceful lakeside environment. We cannot speak more highly of both Baveno and the Grand Hotel Dino. It is a very nice part of the planet indeed. 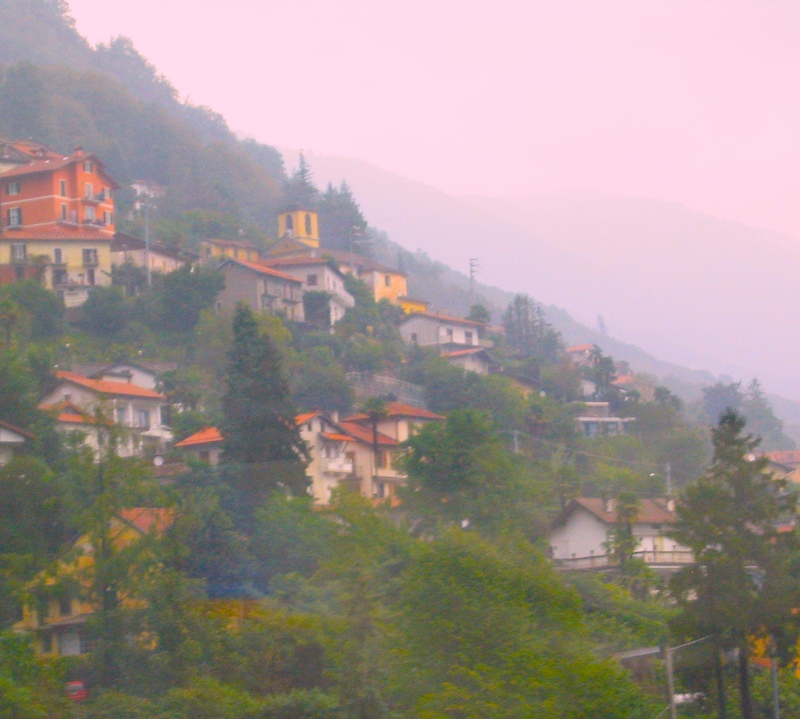 Oh how I would love to return to Lake Maggiore – surely one of the most beautiful and beguiling of destinations. Deep in Northern Italy, where the Alps rise snow-capped and shrouded in mist to Switzerland, the lake and its communities are breath-taking. Put simply, this place should be on every bucket list. Beyond the fertile plains of Lombardy and the wine country of Piedmont, the Italian Alps dominate the landscape. Thickly wooded areas hug impossibly steep slopes above alpine lakeland of unbelievable beauty. For centuries, much has been said and written about this wonderland, but it’s still hard to be prepared for the majesty that awaits. As we journeyed to our hotel near the town of Stresa, we quickly realised that the whole area is a traveller’s dream – a feast of sightseeing where traditional Italian lifestyles have long existed alongside villas of the rich and famous. Unfortunately, on this occasion, we had come in search of one particular attraction: the remarkable Isola Bella, or “beautiful island”. 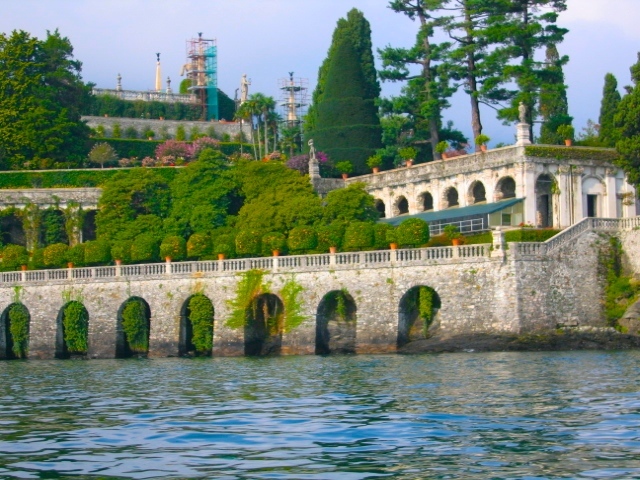 One of Italy’s leading attractions, Isola Bella is one of three Borromean Islands in Lake Maggiore, which is Italy’s second biggest lake at 66 kilometres long and 10 kilometres wide. The striking, somewhat flamboyant and unreal appearance of its red-roofed palazzo, or palace and tiered gardens, is known world-wide. 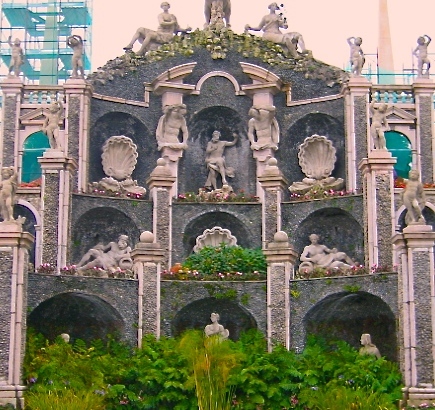 Less well known is Isola Bella’s role in a futile attempt to prevent World War II. But, all of this combined draws huge numbers of visitors and was the main reason we found our way to this charming area. It didn’t take long, however, to realise that Stresa and Lake Maggiore is one of the most memorable of destinations – regardless of Isola Bella. However, the island visit is still something I recommend. 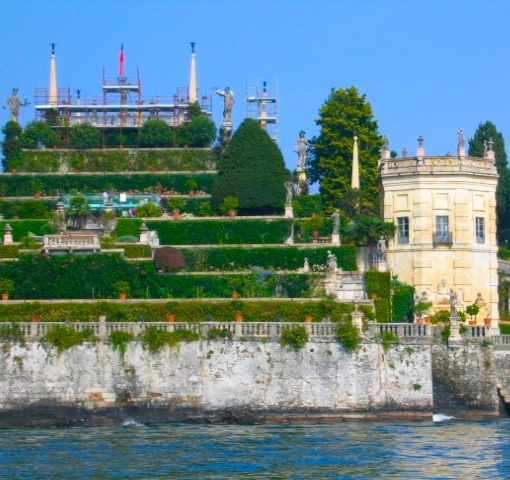 Approaching Isola Bella by ferry, the overwhelming impression is layers of gardens piled on top of one another, like a huge wedding cake, topped by a red-roofed palazzo. Local Governor, Carlo Borromeo the Third apparently obtained land on what was then known as the island of Isola Inferiore in 1630. He soon began planning a residence there – and renamed the island after his wife Isabella. 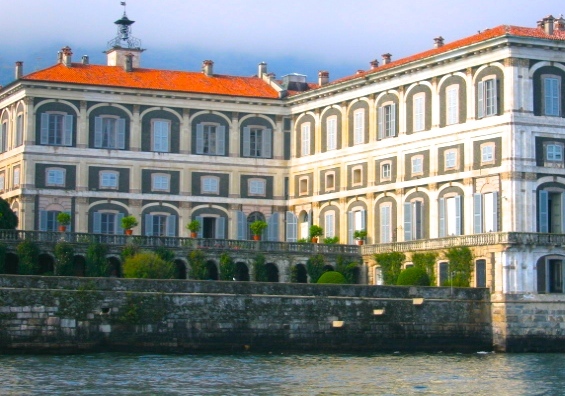 Carlo’s sons later created not just a simple villa, but a palace worthy of entertaining the greatest nobility of Europe. Soil was brought in from the mainland and the gardens were not completed until 1671. Today, the palazzo rises above the small medieval fishing village on one end of Isola Bella. The sumptuous rooms are filled with family heirlooms and treasures, including historical tapestries that date to about 1565. The Sala di Musica is the most famous room, where in April of 1935, Italian dictator Mussolini, met representatives of the French and English governments in a last-ditch and unsuccessful attempt to stave off the Second World War by forming an alliance against Nazi Germany. But it is outside where visitors can be seen shaking their heads in amazement. Formal gardens are large and grand, but an abundance of massive statues, obelisks, spheres, tropical plants, coral grottos and wandering white peacocks give an impressive of unreality. The gardens seem almost deliberately ‘over the top’ and overwhelming, yet the whole package is distinctly unique. Quite simply, it would be hard to find another Isola Bella. It’s undeniably unforgettable – especially in its stunning setting. About 20 trains a day run to Stresa from the main railway stations at Milan. The journey will take about one-and-a-half hours. From the city’s Porta Garibaldi station, take one of the 10 regional trains heading for Domodossola. Alternatively, from Milan’s Centrale station, take one of the six regional trains heading for Domodossola or one of the five international trains heading for Geneva. You can also make the journey from Milan by bus. From the Lampugnano underground station, 2 buses a day go to Stresa. There are shuttles to the trains and buses from Milan’s main airports – and it’s relatively easy to reach Stresa from Switzerland. Once there, you don’t necessarily need a car in the Lake Maggiore area, as it is easy to see most of the natural beauty and attractions on foot or by ferry.